Anyone can string a few words together on a free WordPress website and call it a “blog”. Yet, these posts can sit idly online and accomplish nothing for publishers unless they know a thing or two about Search Engine Optimization. As founder and CEO of Mod Girl Marketing, a consulting firm that has been forming strategic partnerships with winning businesses for over a decade, I owe a great deal of my own success (and the success of my clients) to the practice of holistic SEO blogging. Forget that. These days, headlines are all about catching audience attention with value propositions. Your headline should give readers a reason to click. You probably came to this article looking for very specific methods for dominating Google using strategic blogs – and you’re in luck, my friend, because that is what I am in the midst of delivering! There’s certainly no shortage of articles out there that (rather dramatically!) profess the “death of SEO.” What they mean is that the practice of keyword research and bidding is dead. I would never say keywords have no place in your blog, but it’s no longer a matter of bidding on a bunch of general words related to your industry. If your writer is good, he or she is using long-tail search terms naturally. You can think of keywords like naming a baby: You want something that is unique enough to stand out, but not so unique that your child is ridiculed for a lifetime. I recommend using advanced SEO tools like BuzzSumo or HitTail to get ideas for perfect search terms. This is an old SEO blogging guideline, but it’s still relevant. Not all keyword locations are created equal. Pay special attention to including keywords in your post title, page title, internal links (some but not ALL your internal links), short links, headings, meta data, alt-image tags, the first sentence, and the last sentence. Link building is a timeless SEO strategy that we’ve employed since the dawn of the Internet, but still employ today. Forget the link bait farms where pages existed for the sole purpose of linking out or the spam-bot comments that showed up on completely unrelated (but high ranking) blogs. You’ll still find some of that, but many of these sites are eventually banned by Google. The fact that I’m here, writing to you, on a website other than my own is a testament to the effectiveness of strategic guest blogging and linking with a purpose. Sure, creating a new website is a lot of work, and it’s an investment – but I’ve found that creating micro-sites is a highly effective way to build a reliable audience and convert. It’s also easy to rank well for specific terms and cross-link between sites. If you don’t have the resources to launch additional properties, create well-crafted, landing pages on your main website, and launch targeted marketing campaigns for those landing pages. If you want your SEO blogs to do well, always be learning. Know what algorithm Google is working on. Read the industry blogs, listen to podcasts, watch webinars, attend conferences, follow me and other thought leaders on Twitter - whatever strikes your fancy - but please, don't let the waves rush over you and take you out to sea. Reading other blogs in your industry is one of the best ways to stay on top of the trends and get ideas for your own editorial calendar. (It’s worth mentioning that YES, you NEED a written editorial calendar and documented SEO strategy!) Tools like BuzzSumo, Feedly, Storify, and Curata are all valuable in helping you determine what’s hot in your industry, so you don’t miss any opportunities to be involved in conversations that matter. At its heart, “holistic SEO” means nothing more than building a quality website that is focused on USER EXPERIENCE (UX). You bust out your nice China for Thanksgiving dinner, rather than dining on paper plates. By the same token, you don’t want to put your blogs up on a website that looks like garbage. It has to load quickly, allow for easy navigation, appeal to the eye with good above-the-fold content and imagery, and appear easily recognizable – branded with your standard color scheme and style, across all platforms. So what does holistic marketing look like exactly? Say you’re marketing an upcoming event. Don’t just blog about it. Link out to a specially created landing page packed with a schedule and other relevant details. Use a Google Map to help people find your location and mobile-friendly click-to-call functions. Optimize an event page within your structured data. Include social and email sharing buttons. Funnel prospects toward an RSVP contact form. Put an optimized YouTube video on your feed and push it out to social channels. Get on the horn with your subscriber list and lead them through a series of targeted, lead-nurturing emails. Publish a press release. Create a hashtag. Pay to play with Facebook and Twitter ad campaigns. Reach out to influencers to get more brand mentions. The list goes on and on! If it sounds like a tremendous amount of work – well, it is… but it’s totally do-able. You’ll need a reliable team, accurate data, and an arsenal of smart marketing tools to make it happen, though. In the Age of Quality Content, you may find that your homemade content doesn’t perform as well. Most business owners that contact me started off with good intentions and thought they could do it all, but eventually realized that blogging was important – that it should be more than just an afterthought, if and when they had the time for it. Believe me, finding a good, professional copywriter can be a painstaking process! But it can be done! Many loyal members of my writing team have been with me since the year Mod Girl Marketing was founded. They understand that “good” writing isn’t about cramming keywords for the sake of getting them in. They know how to write longer posts without being too redundant or too vague. They are able to re-use content in smart ways, link to other media sources, and choose words with substance. I can’t overstate the value of a strategic SEO blogging partner. Expert Opinion: Why Bother With Strategic SEO Blogging? The value of SEO blogging has long been recognized as an essential part of digital marketing. In fact, SEO blogging was the very first marketing service I offered my clients more than a decade ago! Even though so much time has elapsed and so many algorithms have changed, the basic need remains the same. The most exciting aspect of SEO is that it’s constantly evolving and the tasks are far from monotonous. During my time in business, it’s been cool to see Search evolve to the point where Google algorithms are smart enough to reward quality content. Of course, the whole process of crafting SEO-friendly content around specific buyer personas that educate and nurture prospects throughout the sales-cycle is easier described in general terms than done by companies on an individual basis. So providing that level of personalized marketing and guidance, working one-on-one, is one of the main ways Mod Girl helps clients see massive success online. Holistic SEO is a huge part of what we do, day in and day out, for our own company -- and for our clients. Ultimately, more than half of our clients sign up for SEO-friendly blogging consulting services because they know that, when done correctly, you can’t beat this method of generating leads and revenue online. Mandy McEwen has spent more than a decade building a team of experts to provide clients with custom digital marketing solutions and strategic consulting. Though she has partnered with a variety of businesses from coast to coast to achieve transformative results, most of her current clients are in the health care, technology, and B2B sectors. interested parties may contact Mandy directly by email at mandy@modgirlmarketing.com. 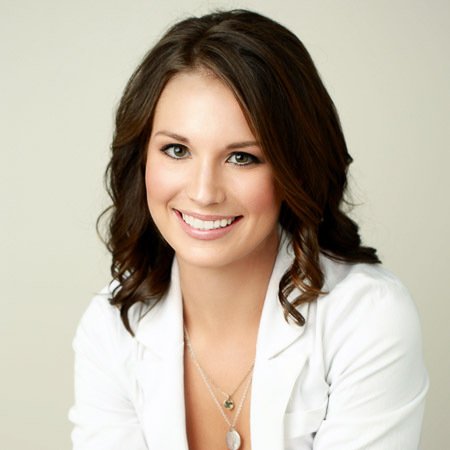 Mandy can also be found tweeting daily﻿﻿ about SEO, inbound marketing and entrepreneurship. 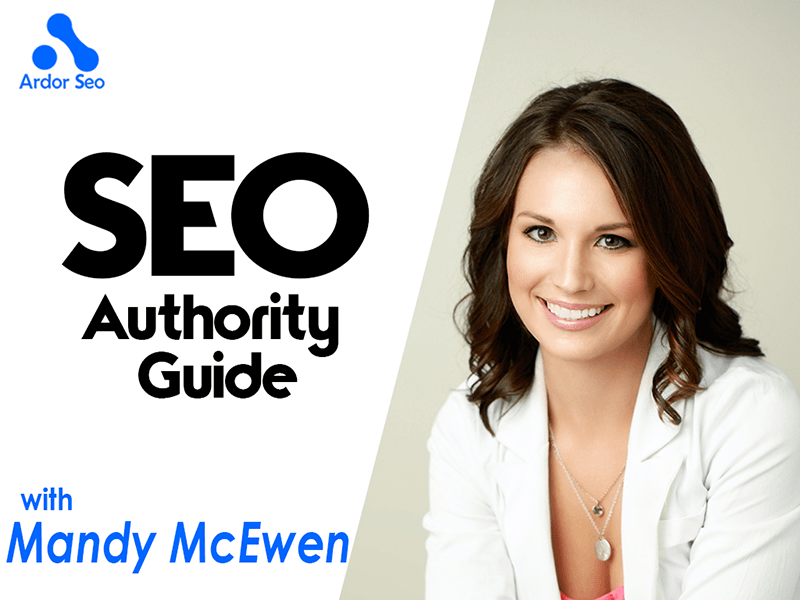 Download Mandy's latest FREE E-BOOK: 8 Stupid Simple Social Media Tricks to Boost SEO!